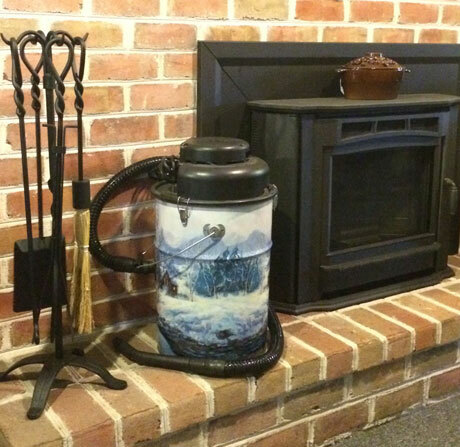 We carry a line of John Wright hearth accessories from steamers and kettles to matchboxes and trivets! John Wright is one oldest sellers of cast iron hardware in America, originally founded right here in Pennsylvania in 1880, and we are proud to carry a line of their local hearth products. All cast iron kettles and steamers feature a durable porcelain-enameled finish to prevent corrosion – as well as a decorative yet functional brass handle for kettles. We also offer a full line of options of hearth pads, efficiency upgrades, and cleaning supplies to fit all of your home and hearth needs. Unique in character and utilization, hearth products come in all different shapes and sizes to fit the look of a variety of homes. Whether functional or purely for decoration, the hearth products we sell are carefully chosen with quality and value in mind. If you would like to see our suite of products or if you are interested in a hearth accessory not mentioned on our site, please give our office a call and we will be happy to assist you in finding the right addition for your home. We are also happy to provide a range of replacement parts for various stoves including Alaska Stoker stoves, Keystoker stoves, Hitzer coal stoves, and other major brands that we sell.